By now I’m sure most have heard about the Superman Reboot that’s in the works with Zach Snyder (director of Watchmen) and Chris Nolan (director of the highly successful Batman movies). There has also been confirmation that the role of Superman has been cast in favor of Henry Cavill (known from his roles on the Showtime series The Tudors). The image above is just an artist rendition of what Mr. Cavill would potentially look like in the red and blue. You’ll notice that he bares a striking resemblance the Christopher Reeves Superman (in particular his hair). What he will actually look like we won’t know until filming begins, but make sure to stay tuned to FavoriteHero.com for all the Superman updates! According to People magazine, the CW’s “Smallville” just signed on Laura Vandervoort to play Supergirl in the popular Superman television series. Playing the character “Kara,” Vandervoort will act as Clark Kent’s cousin, and potential love interest to Jimmy Olsen. More details to follow as we get them. Update: New pic of the beautiful Laura Vandervoort in her new Supergirl getup. There’s no cape to be seen, but we are talking about Smallville. 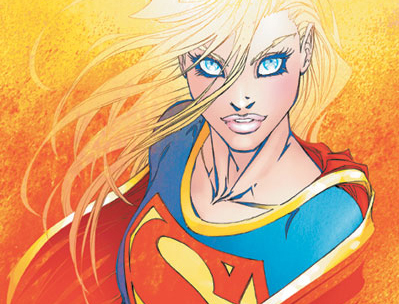 You are currently browsing the archives for the Supergirl category.